Mrs Jo Ropner, the Lord-Lieutenant for North Yorkshire has accepted an invitation to be the County President of North Yorkshire Scouts. With over 6,500 male and female young members across the county, North Yorkshire Scouts is delighted to welcome Mrs Ropner to their team as its new County President. Mrs Ropner will support North Yorkshire Scouts and its 1300 volunteer leaders in helping to promote the skills for life and opportunities for adventure that Scouting offers young people from all genders from age 6 to 18. We are delighted that Mrs Ropner has agreed to be our County President. 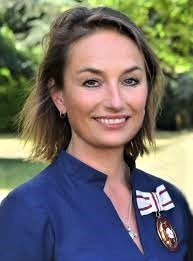 This continues our excellent relationship with the Lieutenancy, and Mrs Ropner will be a great ambassador to champion Scouting and help us to reach even more young people from all backgrounds and communities across North Yorkshire. In her new role as County President, Mrs Ropner will be the principal guest at this year’s Scout & Guides St George’s Day Celebrations in York on Sunday 28 April 2019, the largest Scouting celebration of St George’s Day in the country. I have always held the work of Scouts in high esteem. Given the challenges that our young people face in this changing world, I believe this is more important than ever. I look forward to being involved with North Yorkshire Scouts over the coming years.